uPVC guttering is a popular choice of homeowners in today’s market. 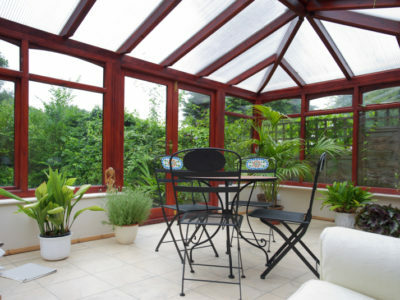 You may have heard of uPVC as it is also a popular material for window frames. It stands for unplasticised polyvinyl chloride, and is used all over the world. Lots of gutters are made from uPVC because it is an easy to install and cheap option for guttering for your home. But like every material, it has its advantages and disadvantages. Read on to find out the benefits and drawbacks of using uPVC guttering. uPVC guttering is the cheapest when compared to materials like copper or aluminium. 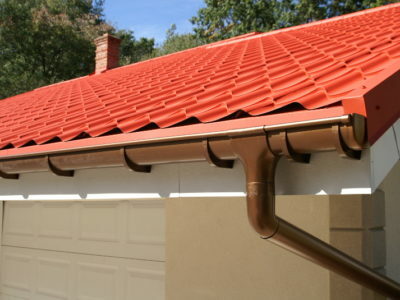 It costs around £7.50 per metre of guttering, whereas a metre of copper could set your back around £40. 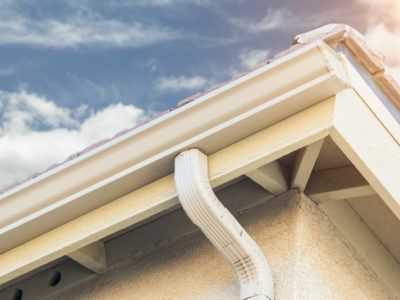 It does depend on which brand of guttering you go for and where you get it from, so if you’re hiring a specialist to install your guttering, get a range of quotes from different companies to get the best price. If you’re good at DIY, you’ll find uPVC guttering relatively easy to install. They’re lightweight, making them easy to carry up a ladder, and they often just snap together. But if you want to make sure your gutters are installed properly and will not leak, it’s best to get a professional to do it for you. Once you’ve installed your guttering, you won’t have to do much to it. Since they’re made of uPVC, they won’t rust, and all you’ll have to do to keep them looking pristine is clean them with your hose every now and again. You may need to unblock them if you have hanging trees nearby, but you can also buy gutter guards to stop debris from building up in them. Since uPVC is a type of plastic, it is more easily damaged than copper or aluminium. If you’re up and down a ladder trying to remove mulch from the gutters, it’s not uncommon for the ladder to dent or break the guttering. Bear this in mind before you buy as it may cost you to get them repaired. Over time, uPVC guttering exposed to the elements can deteriorate. The sun’s UV rays can make uPVC brittle and discoloured, which not only looks unsightly but could also cause leaks. 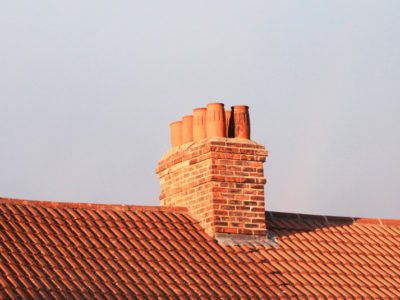 If you live in a particularly cold part of the country, the weather can also cause uPVC to become weak, so your guttering will not last as long as copper or aluminium. uPVC guttering is a great option for a quick replacement that doesn’t break the bank. But ensure you get advice from a range of contractors so you know which material is the best for you.